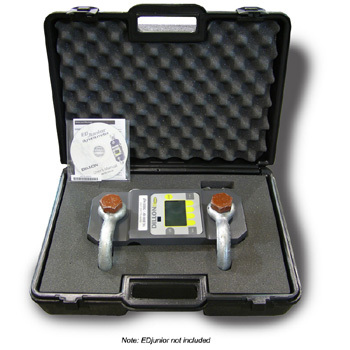 The EDjunior dynamometer gets straight to the point – apply a load; take a reading. Its Spartan design is a direct response to industries that have wanted an extremely well-built instrument that could be relied upon for simple, yet critical measurements of weight and force. 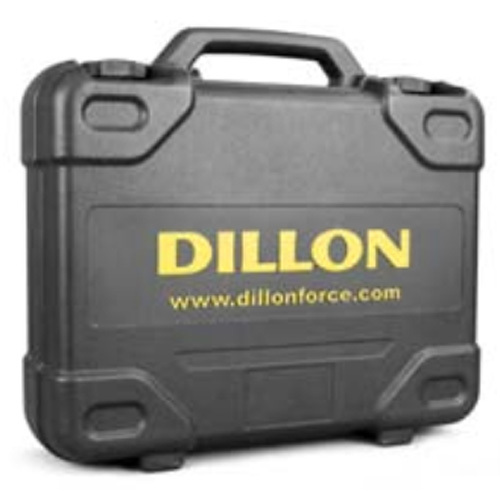 Since 1937, Dillon Dynamometers have been chosen for the jobs where only the best will do. Now, Dillon has once again lifted the performance bar and set the standard for others to follow. more .. Designed to NEMA4X/IP55. Suitable for continuous outdoor use. Traceable to the National Institute of Standards and Technology. Calibration card included. 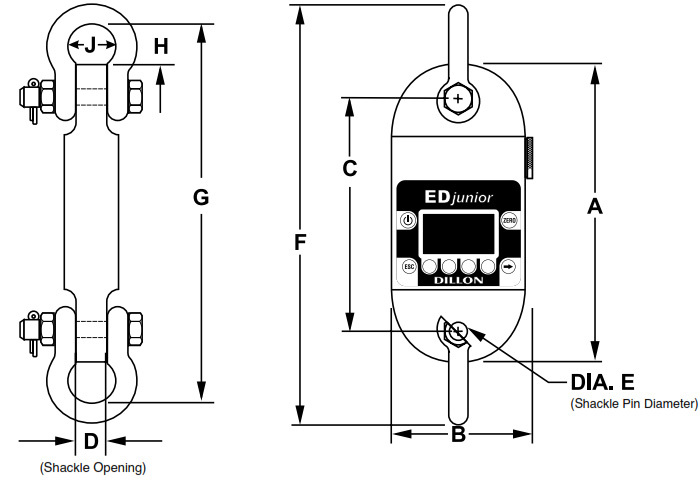 Big on the basics - The EDjunior dynamometer gets straight to the point – apply a load; take a reading. Its Spartan design is a direct response to industries that have wanted an extremely well-built instrument that could be relied upon for simple, yet critical measurements of weight and force. A Strong Family Resemblance - The EDjunior draws its strength from the exhaustive engineering that went into the design of the Dillon EDXtreme dynamometer. Both share the same base of research and testing to match material characteristics and load cell technology. The choices made in development have yielded an exceptionally rugged instrument capable of consistently delivering accurate, repeatable measurements. Extreme Value - The EDjunior is even more remarkable, when you consider price. If you believe you have to pay more, to get more – just compare the Dillon EDjunior to the competition. Nothing else comes close! Proof of Performance - The EDjunior is all about value. Behind its simple design and easy operation, you will find the quality and performance not found elsewhere in the low price range. With the EDjunior, Dillon proves that economy can go hand-in-hand with accuracy, long service life and, most importantly, worker safety. 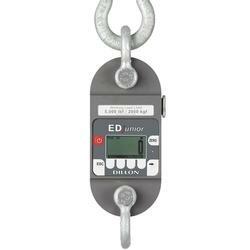 The EDjunior provides peak detection as well as sustained load readings. Selectable units of measure include lbf, kgf and Newtons. Resolution — Readings are displayed with a resolution of 1 part in 1000 to ensure the level of el of readability required for critical lifting applications. High Strength, Low Weight - Heavy, cumbersome tools make tough jobs even harder. Through the use of aircraft quality materials, Dillon has made the EDjunior an easy-to-position, highly mobile instrument with exceptional strength. It offers an impressive factor of safety at all capacities. Dillon’s distinctive curve-body design further eliminates unnecessary weight and streamlines the unit to help prevent binding. Battery Operation - Power is supplied by two C-cell batteries that are easily accessible through a side-loading port. Battery replacement, however, is a rare event. With the EDjunior’s low power consumption, typical battery life is over 425 hours. All Environments - With its NEMA4/IP55 design, the EDjunior is at home in virtually any environment and ideally-suited to exterior job-site applications as well as in-plant use. Backlight - When in a low light area, turn on the configurable backlight to make readings highly visible. Standard Accessories - Cases for secure transportation and storage of instruments and shackles.